In the 1920s the emergence of the radio and the growth of the recording industry allowed the big bands of the day to swing right into people’s living rooms, and popular music was never the same again. Melodies by such composers as Arlen, Gershwin, Rodgers, Kern and Porter, and later on, Sondheim and Coleman, were introduced on Broadway as well as in motion pictures and they continue to be much loved around the world. Recent terminology has grouped these songs together as The Great American Songbook, and the craftsmanship of the melodies, harmonies and lyrics are indeed the standard by which all other popular songs should be measured. For this double CD, we’ve had some of our favourites arranged by the jazz composer and arranger Alexander L’Estrange, with one CD featuring 17 a cappella tracks, and the other 8 orchestral versions, recorded with the South Jutland Symphony Orchestra. 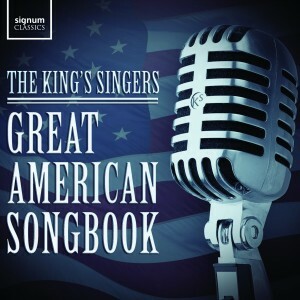 Read more about The Great American Songbook in our Projects section.